Whether it is children or adults, every one will love to try fishing at campsite. Fishing is most entertaining and exciting activity to enjoy in fun family camping. 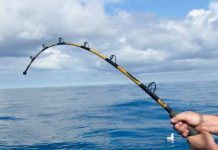 So, if your kids really love fishing or if you want to involve your kids in fishing activity at campsite, here are few safety tips to follow while fishing. If your kid is new to fishing, it is very essential for you to take care of your kids in initial stages. If you are not able to attend your kid while fishing, ensure that he/she is under responsible and safe supervision. 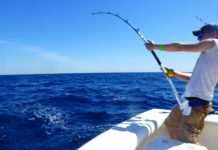 This can ensure that your child is totally secured from injuries that can take place while fishing. When your kids are involved in fishing activity with you at campsite, you should essentially check the weather conditions to avoid disasters. It is not suggestible to fish in storm indicating weather situations. If your child is aware of swimming, then the risk is very less comparatively. But, if your child doesn’t know swimming, ensure that your child is wearing life jacket while fishing. Even if your kid can swim, it is always advisable for all children to wear life jackets while fishing. There are many popular fishing campsites that can offer safety. Avoid rivers with high depth, particularly when you are going with kids. 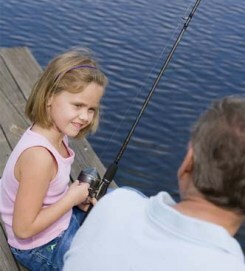 Even though your kids are not new to fishing activity, remember not to leave your kids alone for fishing. This can help you to avoid various tragic situations in your fun family camping.